This computer station is designed to allow use of a computer in a workshop environment and to keep your computer equipment as clean and as functional as possible. 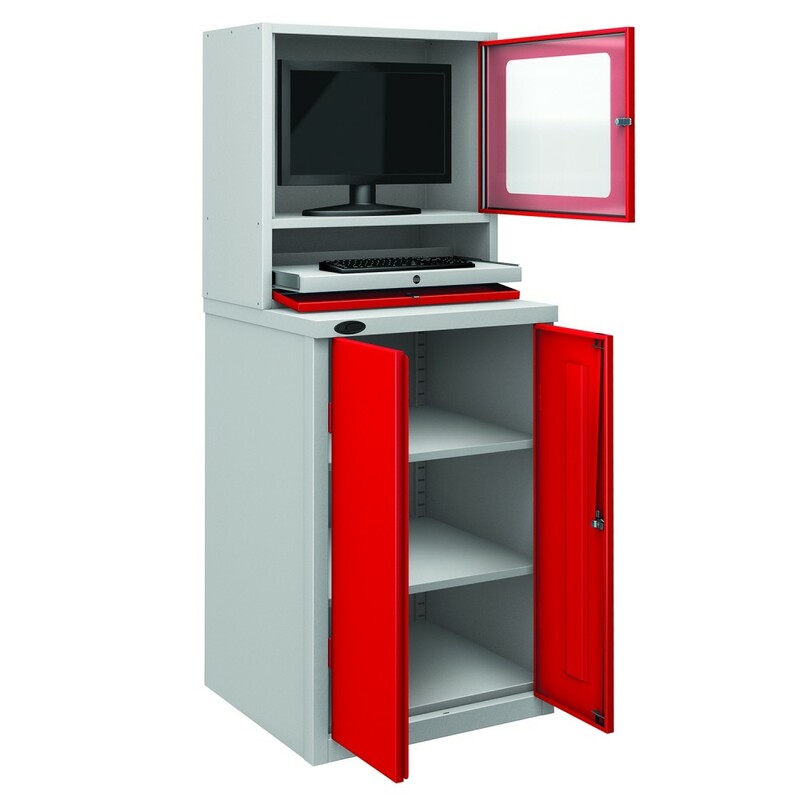 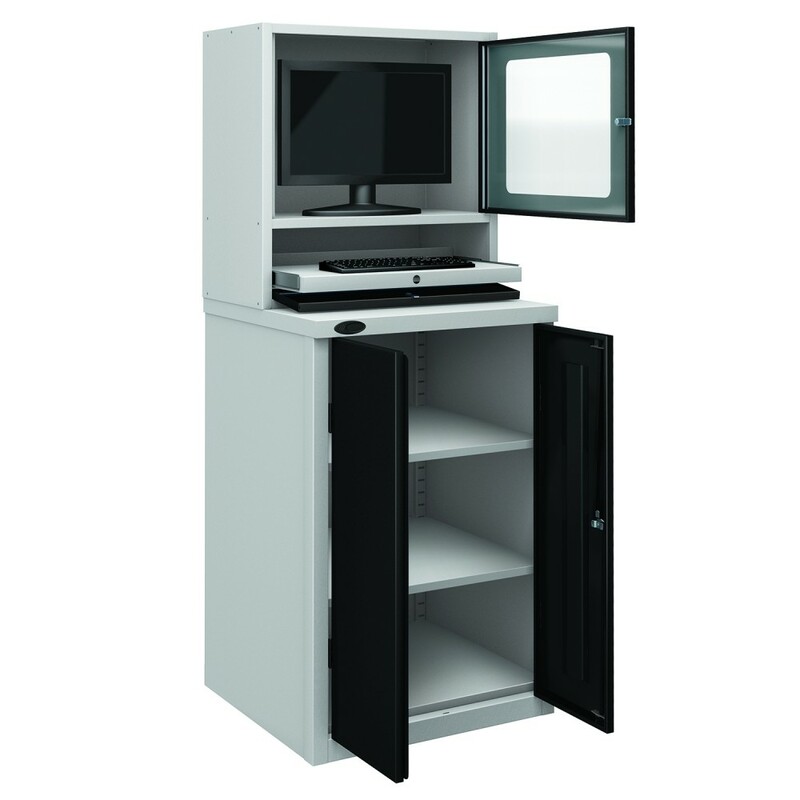 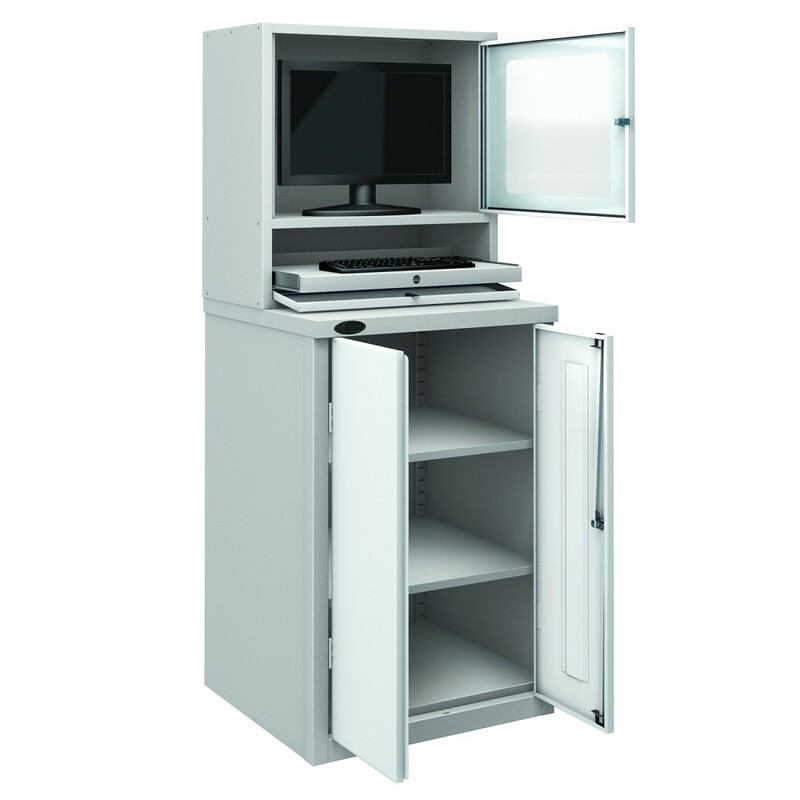 Each peripheral is stored in its own compartment - the monitor is stored in a clear fronted cupboard to provide clear visibility, the keyboard and mouse are house within a pull down fronted shelf and the tower can be stored in the ample cupboard (with 2 x adjustable shelves) below. 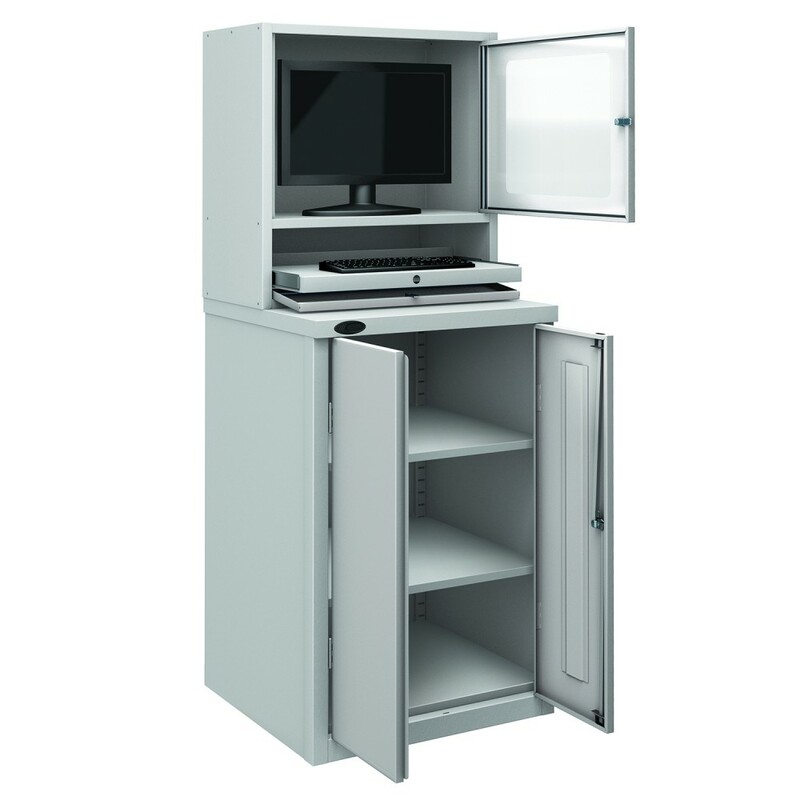 There is even room for other relevant equipment such as stationary.